there's a short story there somehow. Because some people are just pigs who could care less. 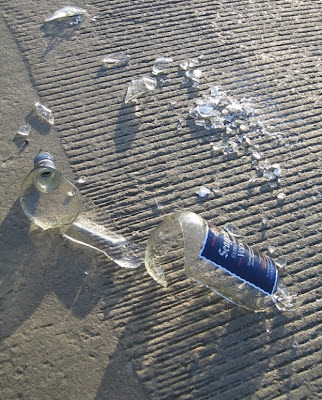 I often see broken bottles on my way to work. It's very depressing to see all the time. But I took this picture because the morning sun makes the bits of glass sparkle...like a liquor ornament! I appreciate everyone's feedback on this photo!